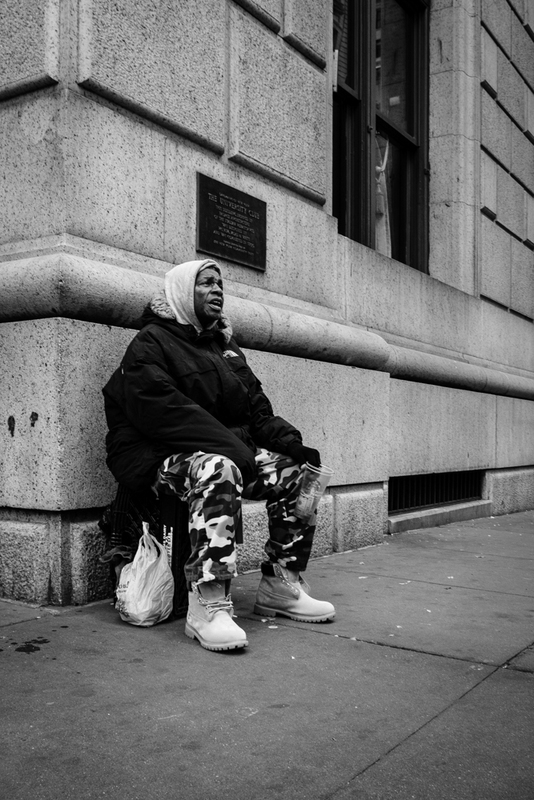 As I walked the cold streets of Manhattan I saw a lot of people sitting on the side streets. This guy was commenting on everyone passing him, not in an agressive way, more in a cordial way. I liked him, so I decided to immortalize him in black and white.